8 months post graduating from one of India's premier B-Schools, MICA, Ahmedabad, I am currently a 360° Media Planner at DDB working with major focus on BFSI clients. I have had diverse experiences in Business, Strategy, Marketing and Entrepreneurship. If you happen to know me personally, you would be knowing that I have always been a hard worker, pro active, passionate and a go-getter. I am a person who is immeasurably into co-curricular activities and hobbies ranging from Theatre, Sports, Oration to Photography and Collecting currencies of different countries (Numismatics). Distinction, Marketing Course, Wharton Business School. Worked with 5+ startups on their Launch Strategy and Marketing Life cycle. 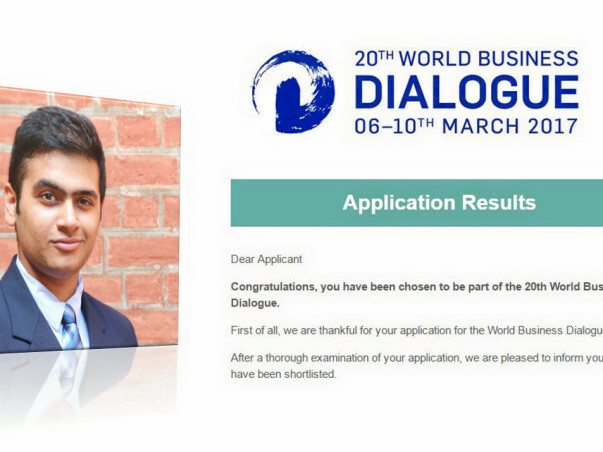 Attending the World Business Dialogue, I will immensely benefit from interacting and working with the youth who share the same passion and zeal to change the world, and it will help me bridge the gap in my skills while providing invaluable exposure. 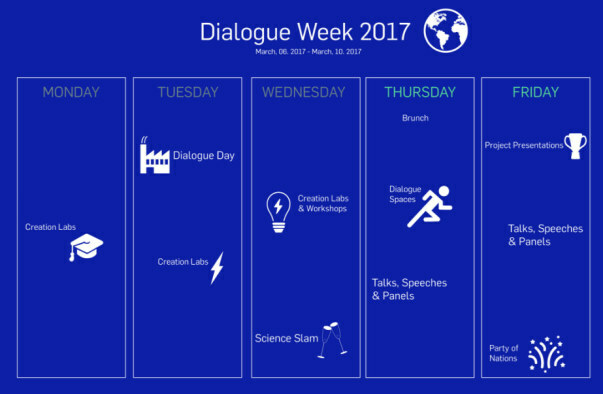 The prestigious World Business Dialogue 2017 would be held in Cologne, Germany from 6-10 March, 2017. Each year, brightest entrepreneurial international students, globally operating businesses, and distinguished scientists and politicians come together in WBD to join a cross-generational and cross-cultural discussion for new ideas and trend-setting innovation. In the past editions, world leaders like Bill Gates, Muhammad Yunus and Michael Bloomberg among others have graced the convention and have worked collaboratively with WBD participants. 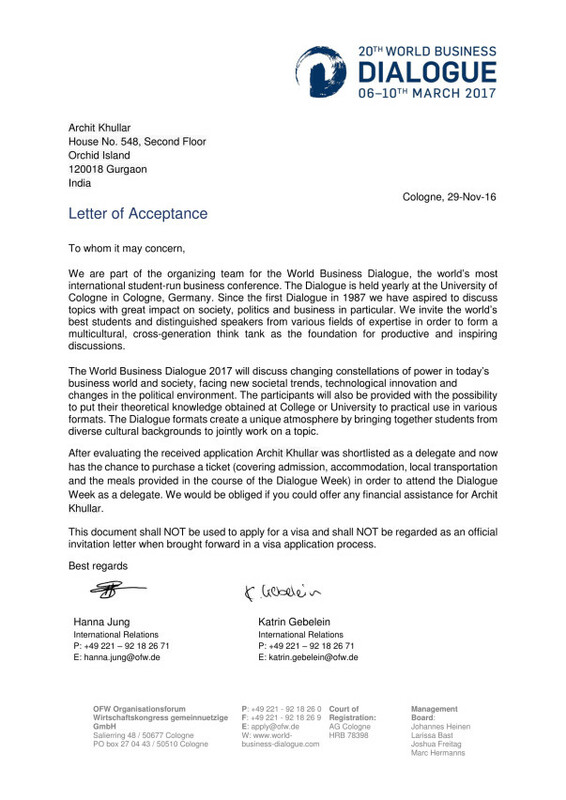 After returning from this week-long convention, I aim to share my learnings and experiences with the rest of the student/working community by writing a paper on the theme "Facing Change - The only constant in businesses across the world"
Your financial support will really make a difference and help me embark on this transformational journey.